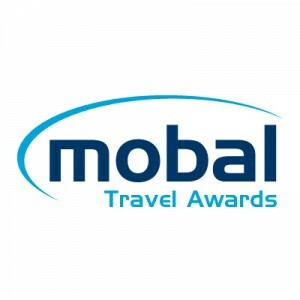 2012 Mobal Travel Awards – voting is open! The new annual awards are here to praise the outstanding work of companies within the travel sector. You, the great traveling public, vote for the winners of each category. You know, better than anyone else, why each of them deserves to be crowned winners. Here at Mobal we would like as many travelers to vote, within these travel awards, as possible. To help, we are running a Twitter competition. So, if you’re on Twitter read further down to see how you can win an Android Travel Phone just be tweeting about our travel awards. It’s easy to enter our Free Prize Draw to win an Android Travel Phone. All you need to do is Tweet. Simply visit http://www.mobal.com/travel-awards/ and click on the big ‘Tweet’ button. To enter the prize draw to win an Android Travel Phone you must agree to the following terms and conditions. You must be over 18 and you must qualify and agree to our new customer terms and conditions (http://www.mobal.com/terms). You do not have to pay for shipping. No refund, or return is accepted and the Android Phone does not include the Mobal All Risk Protection Plan. Multiple tweets are counted as multiple entries, however no more than one tweet per day is counted. The Prize is subject to change and/or being withdrawn with no prior notice given. You must respond within 5 days of being notified of you winning the prize draw. Prize Draw entries will be counted until voting for Mobal Travel Awards closes on Friday August 3rd 2012.